Your customers want the convenience of digital birthday coupons they present on their smartphones for redemption. 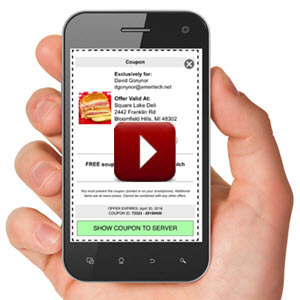 The challenge for restaurants is how to prevent abuse of digital coupons. Especially special coupon offers like birthday coupons. After all, what’s to prevent your staff from giving away birthday offers to friends and family if there is nothing to track and make sure the customer had a coupon. And what about customers trying to use the birthday coupon over and over. – Your customers presents the coupon on their smartphone to your staff. – Your customer touches the redeem button on their smartphone screen that checks to make sure it has not been used before and not expired. – Your staff records a unique redemption code after the coupon is redeemed verifying the customer had the coupon. That’s how our digital coupons work. Digital Coupons Won’t Slow Your Staff Down! You saw in the video that digital coupon redemption is fast… 2-Second redemption. In those two-seconds it is not only checking to see if the customer has used the coupon before, but it is also checking to make sure it has not expired. And, by the way, if your customer just took a screen shot of the coupon it will detect that as well. That’s because the coupon won’t redeem which means it’s a fake. The best part is all of those checks happen with the phone never leaving your customers hands. It’s pretty tough for a customer to complain that the coupon is expired or that the coupon was used before when the customer did all of the verification on their smartphone and you never touched it. To give you an idea of how fast redemption is, The Bavarian Inn Restaurant in Frankenmuth, MI has over 60,000 guests in their birthday club. 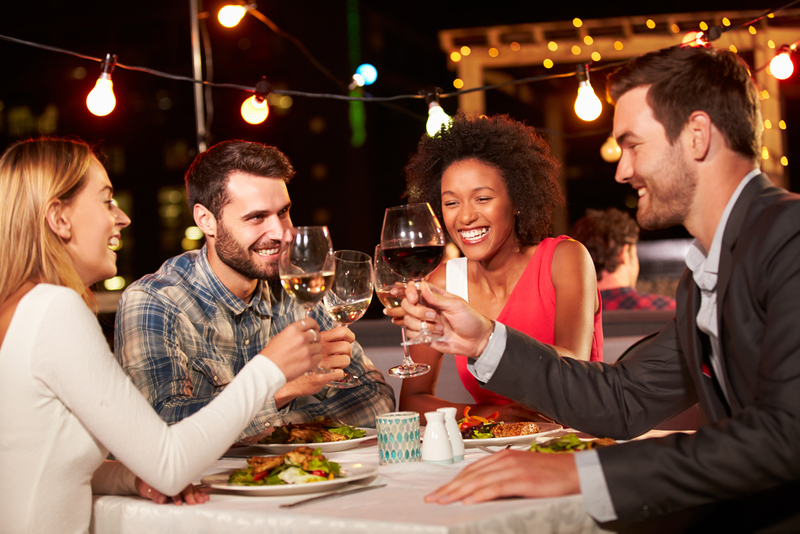 They are a top 50 revenue restaurant in the US and digital coupons have not slowed them down. How Do You Know The Customer Had the Coupon? After the coupon is redeemed there is a unique eight digit code. Have your staff record the code on the ticket or in an available field in the POS. That same code is recorded in our coupon system when the coupon is redeemed. The code is random enough that so your staff can’t guess the code. Once the staff knows you can catch people giving away discounts the problem goes away. Shortening the number of days the coupon is valid. Limiting the printing of the coupon. The more limits you put on the birthday coupons the less effective they will be at getting people in the door to use them. And some implement costly loyalty programs when you only want to limit coupon usage. Why spend all that money when the simple solution is a redeemable digital coupon you email your customers? There’s no costly POS upgrades or loyalty systems. Just simple email messages with an enclosed coupon. Just send out one coupon that lists all of the available locations the coupon is good at. When the coupon is redeemed at one location it will be not available for use at any of your other locations. If customers try to redeem they get a message on their smartphone that the coupon has already been used and the date and time it was used. How Easy is it to Mail from Your Email System? Emailing digital birthday coupons only requires linking to a coupon URL in your birthday email message. No other changes to your current email marketing are required. We even create the birthday coupon for you and give you the URL that works with your email marketing system. The following email marketing systems have been tested and certified compatible with our single use digital coupons. If your email system is not on the list don’t worry. We can virtually guarantee it will work. We’ll be happy to test it for you as well. It’s time to implement digital coupons. Your customers want them and so will you after you see how easy they are to implement and use in your marketing. Time to give yourself a birthday gift of digital coupons.